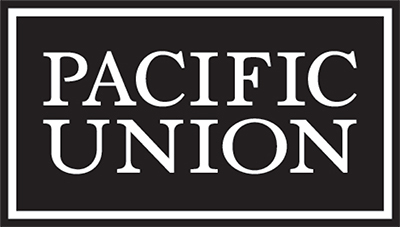 Placer Union High School District in Placer County (North Tahoe); Truckee, Floriston, and Meadow Lake Union High District which was in Nevada County. There was also an old school house at Hobart Mills. 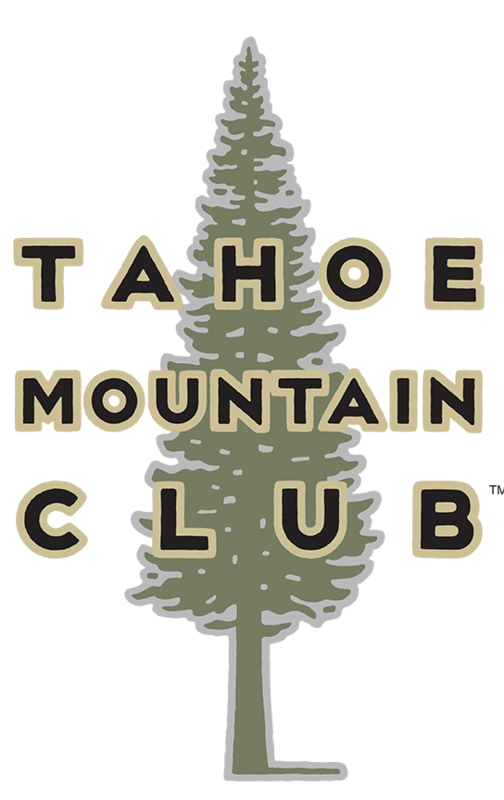 The vision of the community was to join all of these areas and to form a much larger District now known as the Tahoe Truckee Unified School District. This would be the driving force behind building the new High School. The students would consist of Placer Union High School and Meadow Lake High School. 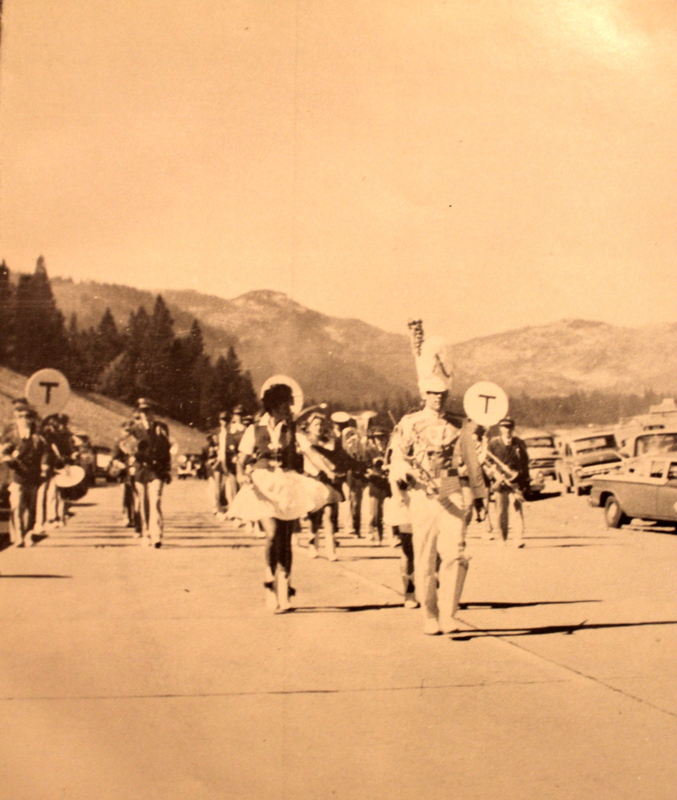 In the fall of 1951 Tahoe Truckee High School was born. Jim Brehler was Truckee’s first football coach. Brehler Graduated from Stanford in 1948 and got his Masters in 1950 from Stanford as well. Both of his degrees were in Physical Education. Brehler started his employment with Tahoe Truckee Unified School District January 2, 1951 just before the opening of the new school. His first salary was $3,600 dollars. Coach Brehler created the Physical Education Curriculum at the new high school and was responsible for starting many of the sports programs including football. When the new high school opened up the only sports offered included basketball, cheerleading, and skiing. 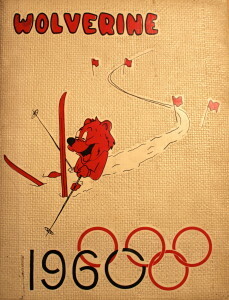 According to history Brehler’s first assignment was to develop a ski program that covered 1st through 12th grade. 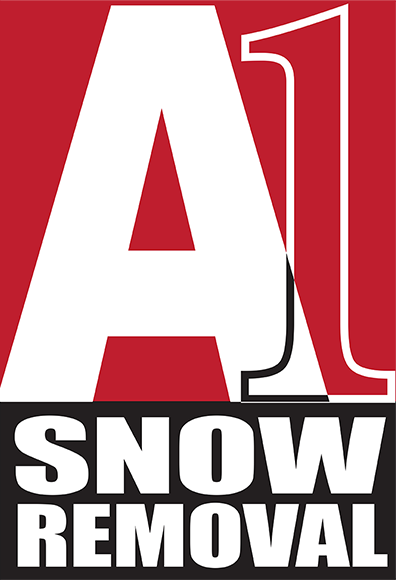 According to sources, “This ski program was a thoroughly innovative idea and to our knowledge the first program of its kind in the United States. Thelma Finger Meiss Jim Brehler coached both the A and B Basketball teams, was the ski coach, and started the football program at Truckee. He served in the district for 33-years retiring in June of 1985. The first game Truckee ever played they were crushed 61-0 by Loyalton. Truckee was beat up so bad in this game that Coach Brehler was unsure if his players would show up for practice the following week. But when he showed up behind the school in the cow pasture every single player was there ready to go. Brehler knew at this point that the program was here to stay and the spirit of Truckee Football and the Wolverine approach was born. 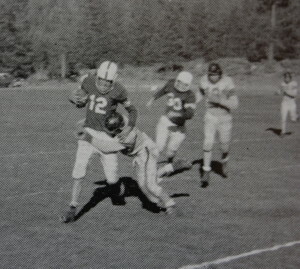 Truckee ran the single wing offense with Jerry Quam playing QB, Bob Tonini was a TE, and Bobbie Sanford was one of the running backs. 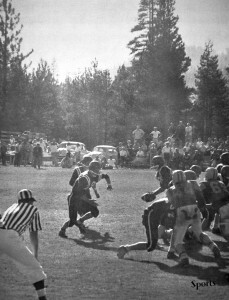 Truckee’s Single Wing during their first home game on the Tahoe City Golf course. 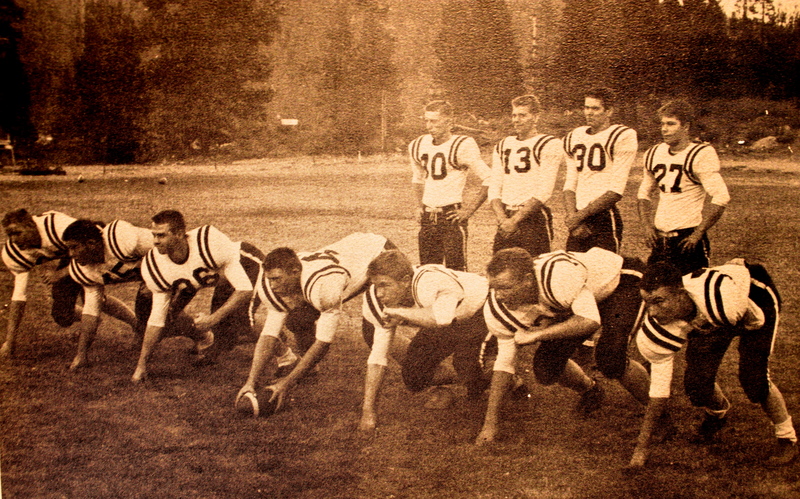 Truckee played their first home game in Tahoe City on the 1st and 8th fairways of the golf course. They played CYA (California Youth Authority), a correctional facility for juveniles. Much Like ROP in Nevada. The coaches thought that this might be their first win of the season but quickly discovered they were wrong. Coach Brehler explains, “We played the biggest, toughest, and oldest bunch of thugs you ever saw! The star of the team, a big kid who had to have seen his 21st birthday, took the first handoff and ran at least 40 yards for the score.” Truckee lost 25-0 and was still looking for their first win. Truckee got its first win against Sparks freshman team. 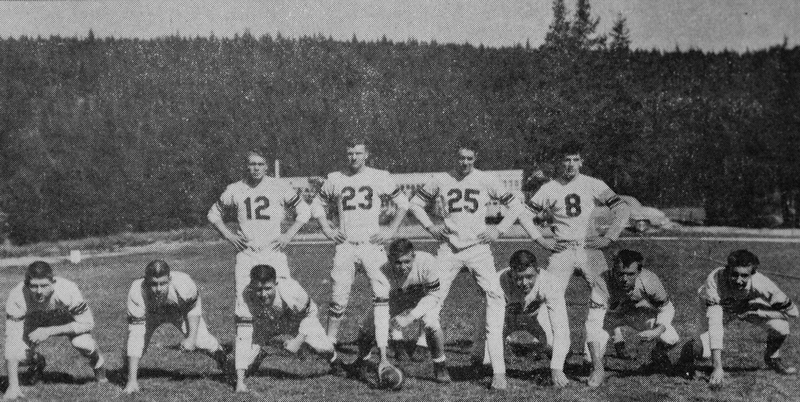 Though 1952 Truckee Team would struggle, they were the start of something that many kids would benefit from in the years to come. Truckee Football dismisses the Chipmunk mascot and they emerge as the WOLVERINES!? There is no evidence in the previous year books that Truckee’s mascot is the Wolverines. 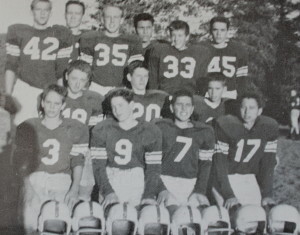 However, in the description of the football team in the 1954 yearbook we see the football team being referred to as the Wolverines multiple times. 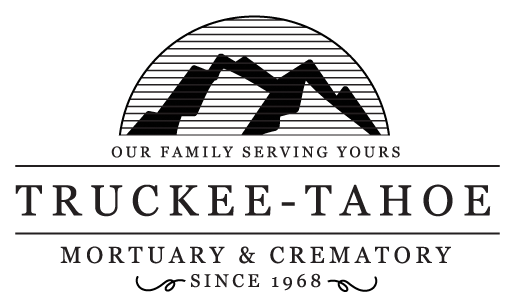 There seems to be a misconception about Truckee’s mascot. Truckee used to be referred to as the Chipmunks, but there is no evidence supporting that the sports teams at the new High School or the old school were ever called the Chipmunks. The old year books were titled “The Chipmunk” which is where I think that comes from. If you talk to old Alumni from the 50’s they would tell you with conviction that Truckee has never been the Chipmunks. It appears that the Wolverine mascot came with the new school. 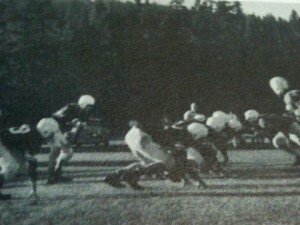 Truckee played its home games at Sparks and Loyalton the first two seasons. If you have been to Sparks High School then you can tell that this picture was taken at Sparks. You can see the corner of the school in the upper left corner and Mount Rose off in the distance. games at Sparks and Loyalton. Truckee started the 43 season at Douglas in close battle. And actually the Wolverines scored first. But in the end it was the Tigers who won 21-6. Then it was newly rival Loyalton who again crushed Truckee 51-0. In week 3 Truckee played Manogue for the first time in our history. The Minors beat Truckee soundly 45-7. Things did not get any easier for Truckee as they faced the Yerington Lions and Truckee was beat 61-0. Yerington would win the State Championship for single A division in 53′. Truckee then played Reno’s JV team and was shutout again. Truckee scored just 13 points in five games and was clearly struggling. But then Truckee would get something rolling vs Chester in week 6. Chester was beating Truckee 21-0 into the 3rd quarter. Then Truckee would make a comeback scoring 3 unanswered touchdowns and had a 4th TD called back in a penalty to pull within a point. But Chester would take over in the 4th quarter and beat the Wolverines 20-43. It was the first sign of life for Truckee’s offense and they were able to ride this momentum into the game of the year played at Sparks High vs Lovelock. The Lovelock game was tied at Halftime 12-12 but Lovelock would break the Wolverines down in the second half and win 12-38. Truckee scored 32 points in their last two games and seemed to find some offensive rhythm heading into the off season. 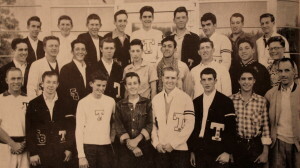 The Block T Society was formed in 1953 to promote participation in athletics and raise the standards for those who already participating. Truckee is playing independent at this point, as far as I can tell. In 53 Truckee’s schedule was filled with more Nevada opponents and Truckee joining the Nevada A is in the near future. Looking into the history of the Nevada Interscholastic Athletic Association (NIAA) I found that any school that was playing 11-man football before 1950 was lumped together in one big division called the “all” division. Every other school was labeled as 8man or 6man football. 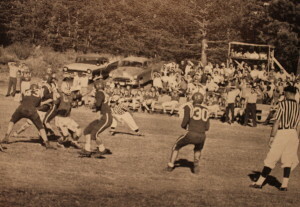 From 1951 through 1952 there was a Small school division, a Large school division and then of course 8 and 6 man football. In 1953 you finally see 1A, 2A, and 3A classifications, which to my understanding were all 11-man football. The B league was 8- man football and 6-man football was on the way out. Truckee also played their first JV game vs Sparks in 1953 and lost 6-36. The coaching staff was pleased with the kid’s efforts and felt like the following season could be their first winning season. 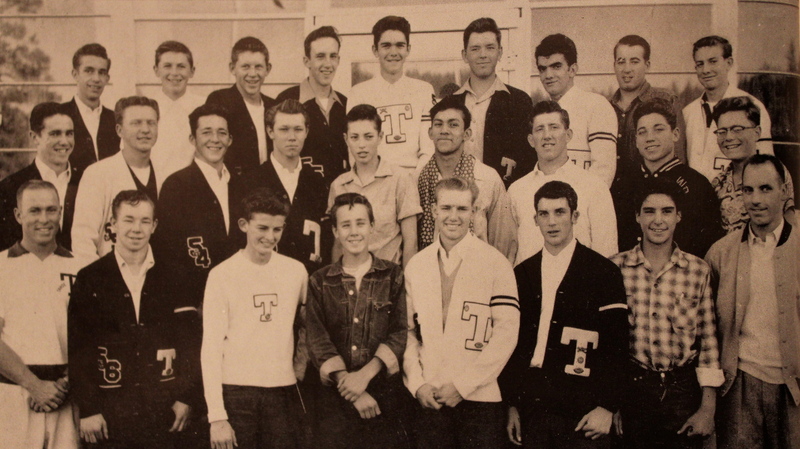 Also in 1953 the Block “T” Society is formed at school. 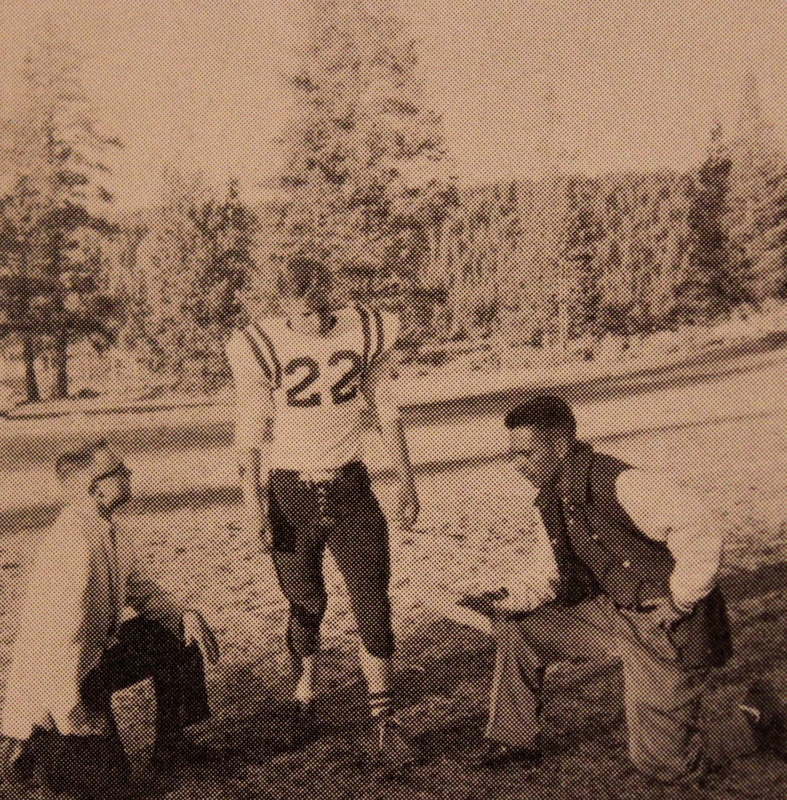 This was an Athletic leadership club that would uphold the integrity of Truckee’s athletics. It was this group that was responsible for handing out Varsity Letters. 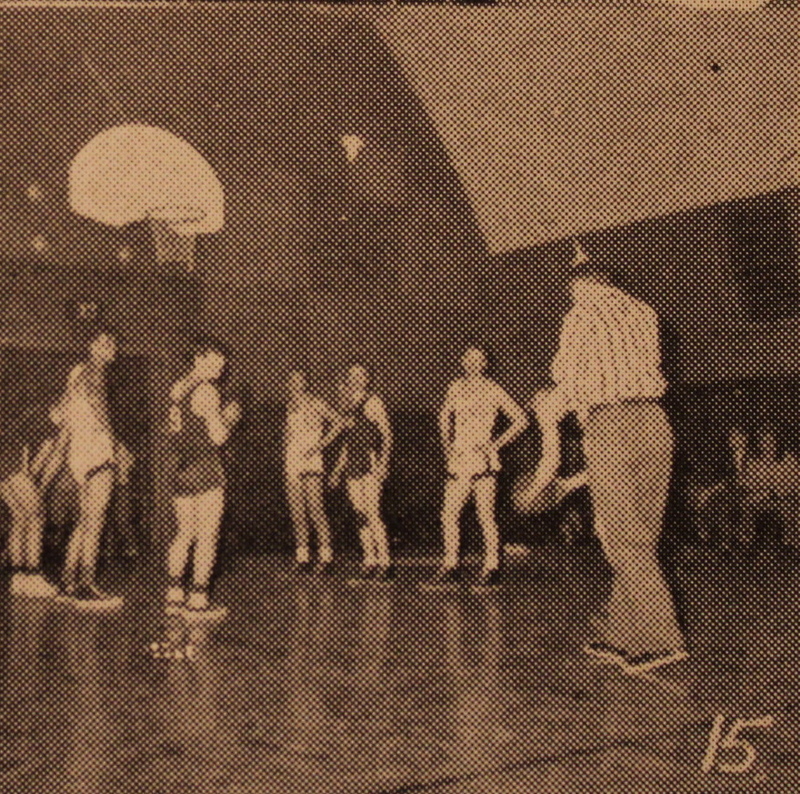 The Bock “T” Society also promoted athletics to try and maximize participation in the school. Truckee was hoping to have a winning record in 54 based on the experience they had coming back from the previous year. Their hopes were high but the Wolverines would win just 2 games and go 2-6. However, that is two games more than the previous year. Also, even in their loses they played each opponent much more competitively. Truckee’s second win in program history came against Douglas beating them 18-2. It was the Wolverines first game of the year and they would ride this win into a very tough opponent in Manogue. They played Manogue tough in just the second year facing the Minors. And though Truckee gave the Minors everything they had the Wolverines would lose losing 13-24. Remember the previous year Truckee only scored 13 points in their first 5 games. In just 2 games Truckee had scored 31 points, a huge improvement. In Week 3 Truckee faced Yerington, the defending State Champions. Yerington routed the Wolverines but not nearly as bad as the previous year. The final score was 7-33. Truckee played Stewart next and lost 7-21. I’m not sure which school this was but I presume it is the Stewart Indian School that was south of Carson city. Stewart opened in December of 1890 and was part of the Native American boarding schools project. The school was closed in 1980 due to federal funding and earthquake danger. Truckee then played the Reno Ramblers. It appears that this Reno team was not associated with Reno High School. In my research the Reno Ramblers is a Bicycle Club that was started in the 1890’s in Reno. Then a local football team took on the name at a later date. So, this might have been a club team not associated with a school. Or maybe Reno High has not always been the Huskies? Regardless Truckee lost to the Reno Ramblers 0-19. In week 7 Truckee took on Lovelock but lost in another close game 12-21. Then the Wolverines took on Loyalton and finally beat them 13-7 in Truckee’s 3rd victory in school history. The Truckee Loyalton game had developed into a little bit of a rivalry. South Tahoe was on the schedule for the first time and they beat Truckee 21-13 in a close match up. It was called the “Benefit Game” and it was Truckee’s new rivalry game. The Truckee offense posses for picture on Truckee’s new field. You can see with the school in the background about where the field was. changing up the offense. Truckee had been running the single wing up to this point and changed their offense to the Split T. It seemed to make a difference as the offense put up 83 points and was only shutout once. 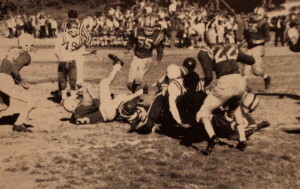 In 53 the offense only put up 51 points and was shutout 3 times. 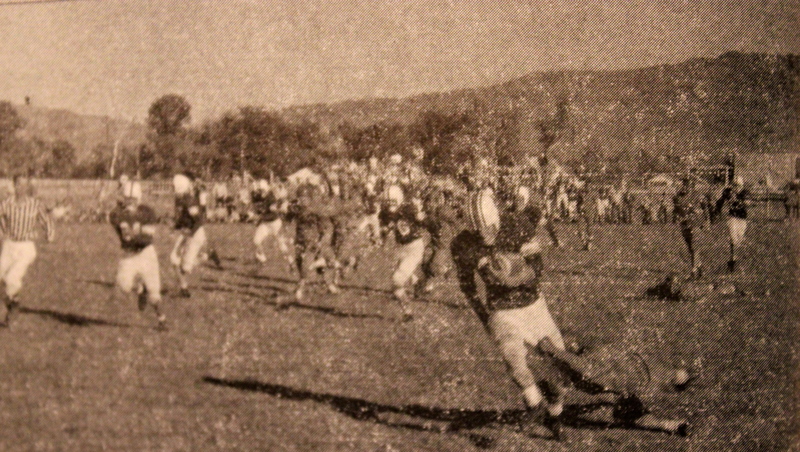 Also in 54 Truckee finally got a home field and hosted their first homecoming game on October 9th. The first ever homecoming Queen was crowned, Ginger Reynolds. The coaches gave out their first MVP award and it went to #20 Lewis Fellows. This was a big year for Truckee football. Finally getting their own field and not having to travel every weekend was huge. The old Deer Field Stadium faced North and South just like Surprise Stadium. It was located just slightly South West of where Surprise Stadium is today. The North end zone of the Deer Field Stadium was located roughly where I-80 runs through today. The Wolverines competed in every game and the confidence of the players was growing and the Tradition was slowly starting to unfold. Truckee Pride was on the rise! On a side note the Nevada A State Champion was Yerington again. 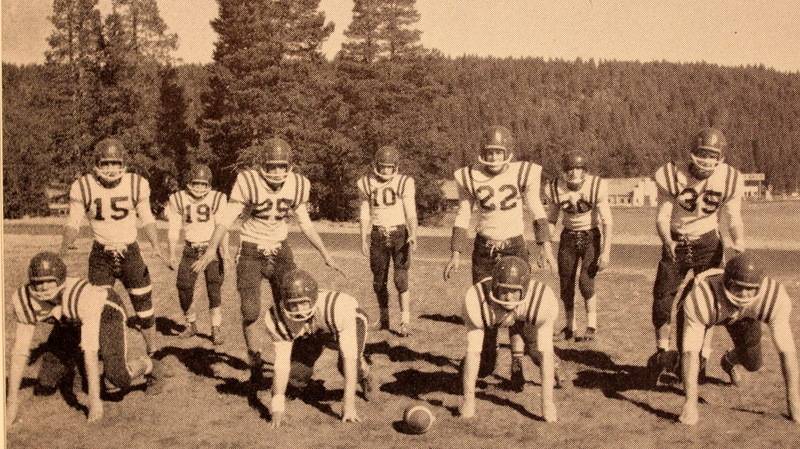 1955 was the first sign of Truckee Foot ball players with facemasks. Truckee has its first season without a losing record going 4-4. This would be Jim Brehler’s last season coaching the football team. Brehler ran a two tight end set with a full house backfield as his offense to start. But after struggling to score in his first 2 seasons he changed to the Split T Offense his last two seasons. Brehler coached the Wolverines for 4 years with a 7-21 record. 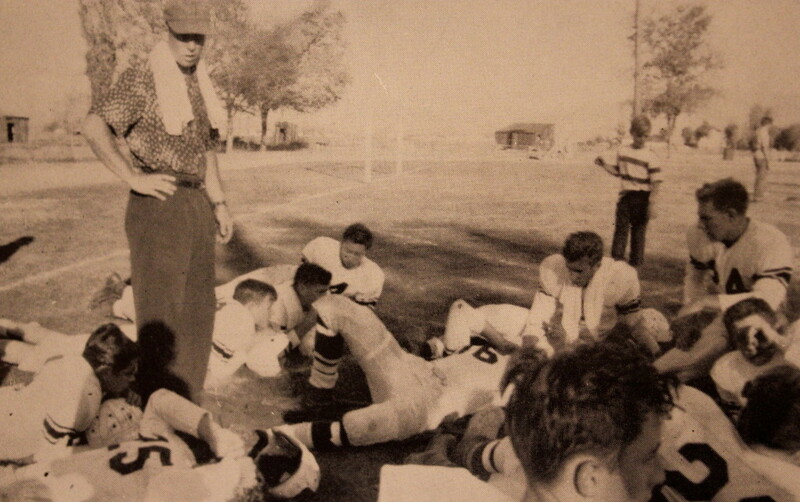 Don Faurot of the University of Missouri created the Split T formation in 1941. It features 3 backs all at Fullback depth and was traditionally used with two tight ends. The Split T moved a wide receiver out. This offense is the grandfather of the wing-T that Truckee runs today. Regardless this was a power running game that’s primary focus was the option. The Wolverines started their season with a very close win over Douglas 7-6. Truckee’s big win of the year came against new rival South Tahoe shutting them out 25-0. Then Truckee beat Stewart 26-7. Truckee was 3-0 to start the season and was playing with a ton of confidence. But the following week Truckee would run into a very strong Carson team and was shutout 0-41. Truckee then played the top dogs of the Nevada A conference. They just did not recover from the loss to Carson and lost 4 games in a row after starting out 3-0. After Carson beat Truckee the Wolverines would lose to Winnemucca 19-52, and then lost to Manogue 13-52. Lovelock made the trip to Truckee for the first time for Homecoming. In a close battle Truckee lost 13-20. In the last game of the year the Wolverines soundly beat Loyalton 20-7. Mick Hogan was a team captain and leader of the Wolverines. 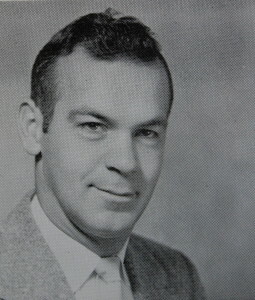 Bob Trask was the Team MVP and elected captain for the 1956 football season. 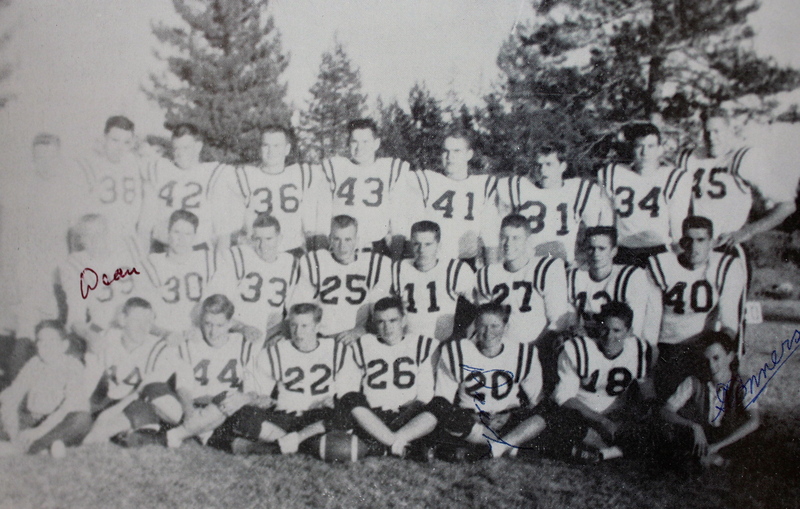 Carson was the Nevada A champion in 1955 and they were the only team to shut Truckee out. The Wolverines are starting to prove they need to be taken serious on a week to week basis. 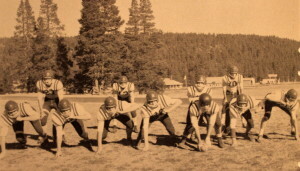 This was Truckee’s first season being in a division and they finished in the middle of the pack. Truckee scored over 100 points for the first time scoring 123 points. Their offense was coming around but in 55 the Defense really struggled giving up 185 points. This was the toughest schedule the Wolverines would play to this point which is why they struggled mid-season when they hit the meat of their schedule. 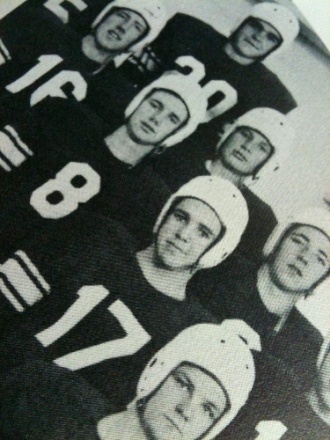 There were some very experienced players on the 1955 team. A handful of the players were on their 3rd season as a Varsity player. It was their experience that was responsible for the Wolverines fielding their best team to date. Unfortunately after their best season their coach stepped away. 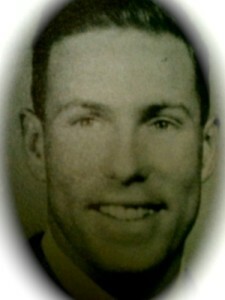 Jim Brehler retired from football after the 1955 season but would not retire from the district until 1985. He stayed on as a teacher and basketball coach. 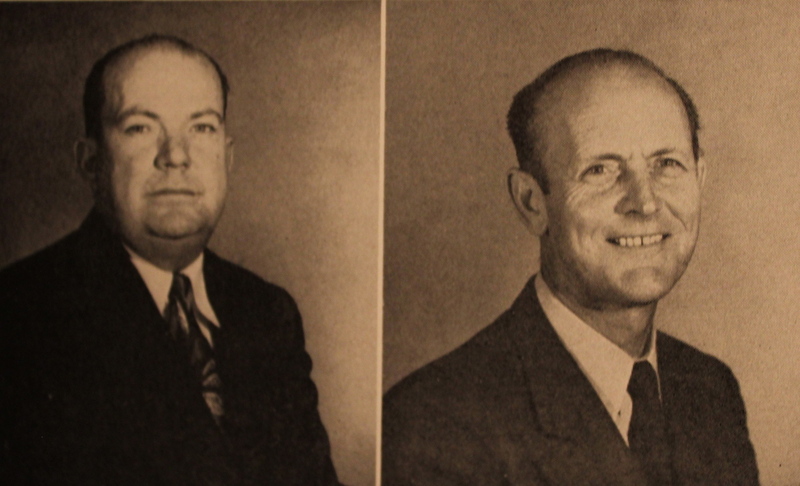 Brehler would later work his way up the ladder to the district level. He should be recognized as the founding father of Truckee Football and paved the way for many young men to play the game they loved. He also established the physical education department at the new high school and was responsible for starting many of the sports programs at Tahoe Truckee High School. Champion again in 1956. In the last game of the year Loyalton just got past the young Truckee team 19-14. Not sure if coach Drakulich put in a new offense or if it was solely a young team but Truckee struggled to score in their first 5 games scoring just 25 points. In their last three games they scored 72 points so clearly that means the young team was catching on to the new system. However, the opponents at the end of the year were not as strong. Truckee started the first four games with very strong teams losing 0-12 to Douglas, 6-13 to Winnemucca, 6-18 to Carson, and 6-31 to Manogue. Truckee lost to Lovelock 7-32, a disappointing loss considering they have competed with Lovelock in years past. The loss to Carson is interesting given the Senators were the State Champs. Looking at the Wolverine’s scores they battled against some very strong teams. Either way Truckee had a very young team that got a lot of experience. 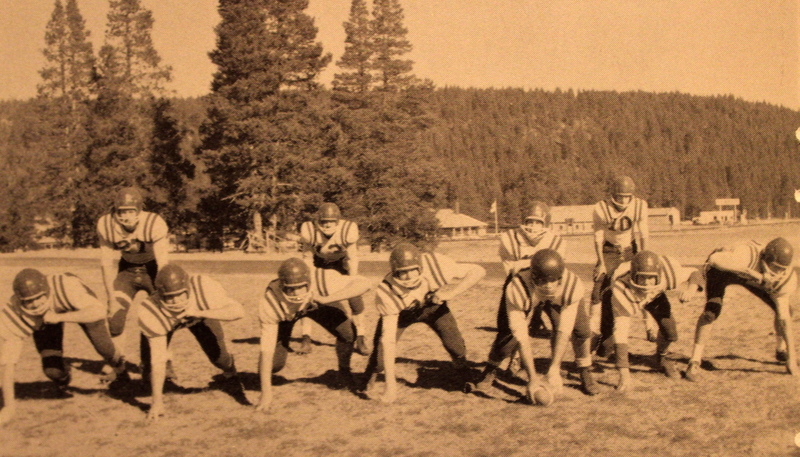 “For the first time in the history of our young school, Tahoe-Truckee fielded a Junior Varsity football team. Forty-two hopeful, inexperienced aspirants responded to Coach Cal Farley’s call for squad members when school began September 3rd. Composed primarily of freshman and sophomores, the squad’s spirit was excellent and at the season’s end our Cub’s boasted a winning season. Recognizing the fact a junior varsity’s primary purpose is to build for the varsity, it is hoped the experience and fundamentals gained by our Cubs will help brighten varsity prospects in the seasons to come. Truckee’s JV team went 4-3 and beat Roseville two times. They also beat Sparks and Placer Union 32-0. In their losses they were very close games losing to Quincy 7-13, Vacaville 26-32, and Loyalton 16-19. They were very close to being undefeated. The future is looking bright for Truckee. Also in ’57 the Wolverines go RED! I always thought the red pants that were introduced during the 1987 football season were the first time Truckee put on red game pants. That is not the case. Truckee Varsity passed down their uniforms to the first ever JV football team and put on new uniforms in 1957, which featured red pants with a white stripe. The 1957 team’s record was not great but they really did play each school close and with the JV team’s success Truckee was looking for their first winning season in 1958. (30) Robinson drops back to pass at the Deer Field Stadium. In Truckee’s 7th season they finally record a winning record under Stan Drakulich going 6-3. It is very clear at this point that Truckee is playing in the Nevada single A. Truckee’s league games included Yerington, Winnemucca, Lovelock, Douglas, and rival South Tahoe. Also on their schedule regularly was Manogue and Carson. 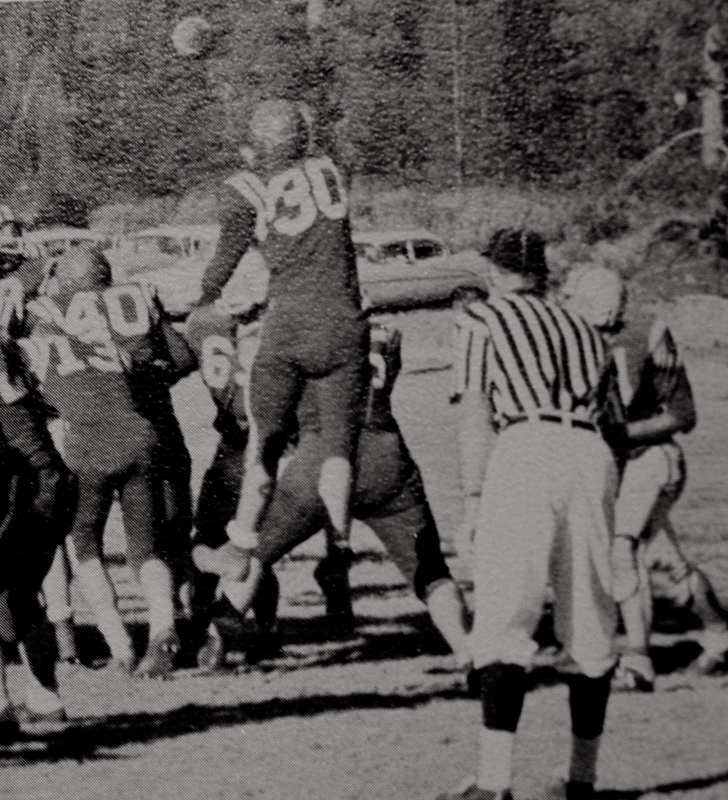 Truckee also had five players make the Nevada A first team All State: QB Craig Robinson #30, Steve Cowan #24, Ray Cantrell #45, Rex Donaldson #42, and Bob Williams #36. There are a lot of people that said Truckee started playing football in Nevada in the early 80’s. 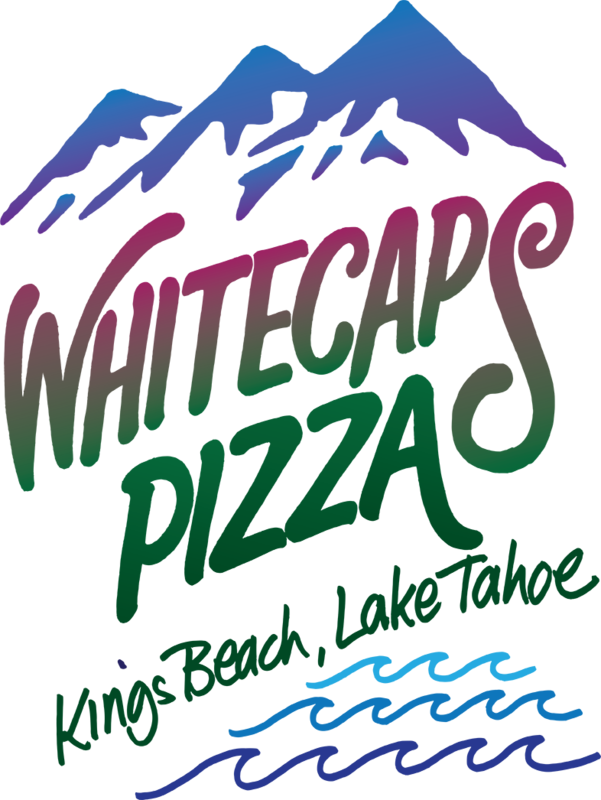 The truth is that Truckee came back to Nevada in the early 80’s. There are some haters in Nevada that don’t like Truckee playing for Nevada State Championships. I can’t say that I blame them but at this point Truckee has played 40 out 60 seasons in Nevada. Boulder City who just dropped from 2A to 1A in 1958 is the Nevada State Champions. 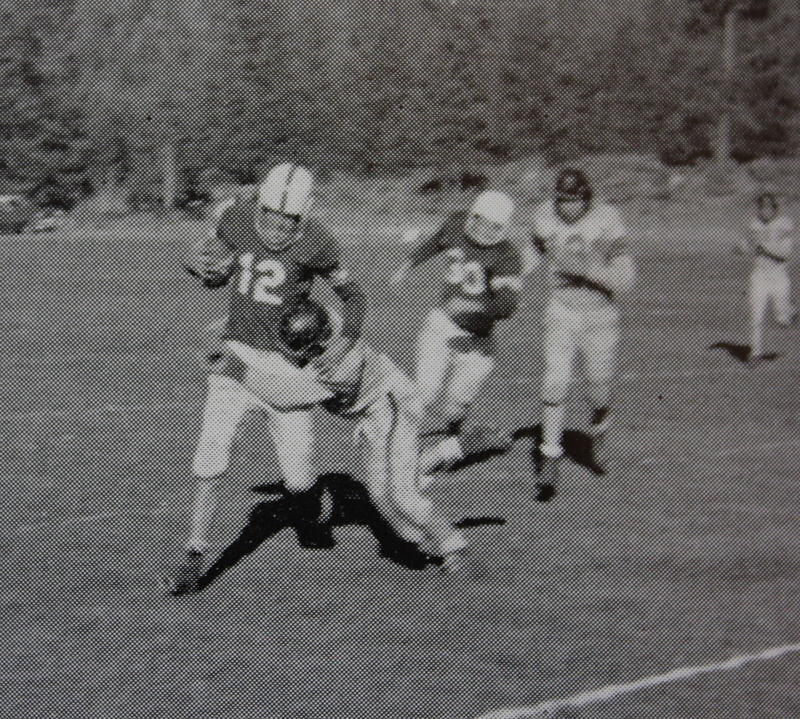 Also in 1958 Truckee went with Red helmets, red pants, and red Jerseys and I have to say it looked pretty sharp. This was by far Truckee’s best season in their early history. This team had a lot of senior leadership. The 1958 team had 25 players and 12 were seniors. Twelve seniors might not seem like much but compared to the years prior it made a big difference. It appears that having a JV team has improved the program in a very short period of time. The Truckee Defense came to play in 58. 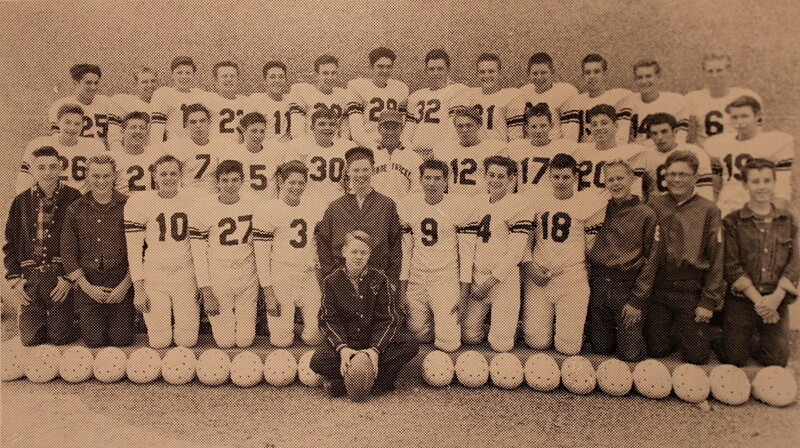 They shut out 3 of their first 5 opponents and posted 4 shutouts total in 1958, only giving up 91 points all year. This team also had a strong offense with 5 All-State players. The offense scored 153 points in 9 games. The 58 defense had 4 shutouts and gave up just 91 points in 9 games. In week 3 Truckee played Fallon for the second straight year and beat them 6-0. But then the Wolverines had to take on the Buckaroos who they have never beat and lost 0-22. Truckee now 3-1 would not let the loss over take their confidence like years past and bounced back the following week in a Tight game with Douglas winning 13-0. However, they were not able to keep the momentum rolling and lost to Quincy 7-12 in a heartbreaker. But again Truckee would follow up a loss with a shutout beating Lovelock 33-0. But Truckee ran into the defending State Champs in Manogue and lost in a close game 13-26. The toughest Truckee had ever played Manogue but they just couldn’t quite get over the hump in 58. The Wolverines crushed South Tahoe 48-25 the last game of the year. Truckee put together a great season and as the coaches talked about, they put Truckee on the map in the Nevada A and they are looking to take it to the next level in 1959. It would be Drakulich’s 3rd and final year as coach. Drakulich was 11-15-1 as coach of the Wolverines. 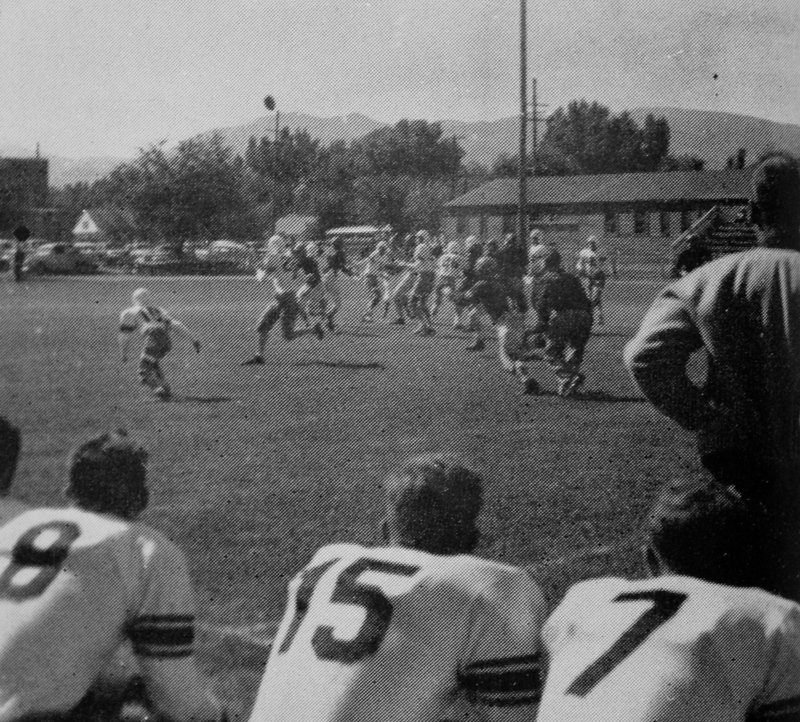 1959: 7-2 record (CO-LEAGUE CHAMPIONS 4-1) NEVADA A STATE CHAMPIONS? Coach Farley game plans with senior captain Marty Kumle. 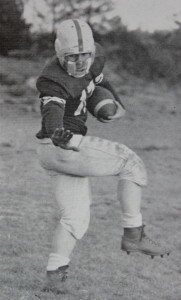 Kumle was a linebacker and running back for the Wolverines. 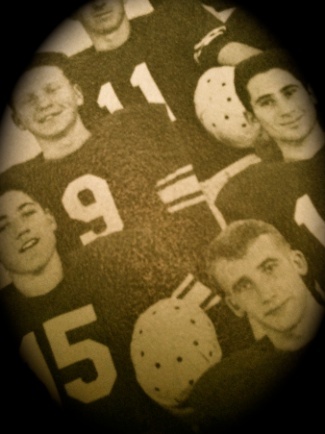 It appears that coach Drakulich got a job else where, as he is no where to be found in the year book of 1959-60. Coach Farley was the JV coach the past two seasons and would become Truckee’s 3rd coach in its short history. It is fitting that Coach Farley takes over the head job as he coached this team the past two seasons and they were all part of the first JV team. 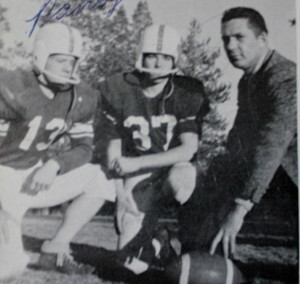 It was Cal Farley’s only year as Varsity head coach and that was too bad because he coached Truckee to their best record ever and may have been part of Truckee’s first State Championship. The NIAA record book shows Lowry (Winnemucca) as the Nevada A Champion for 1959. However, Truckee was a very good team in 1959 and the Wolverines were clearly playing in the Nevada A, something many people are not aware of. Also, Nevada has no record of a Division III State Champion at all in the Record books, which would have been the Nevada AA. I find this interesting. Can this be Truckee’s first State Championship? If so why is there no record of Truckee winning a Championship. 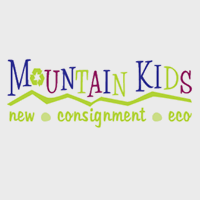 Mike Kumle, better known as Mickey, still lives in Truckee. 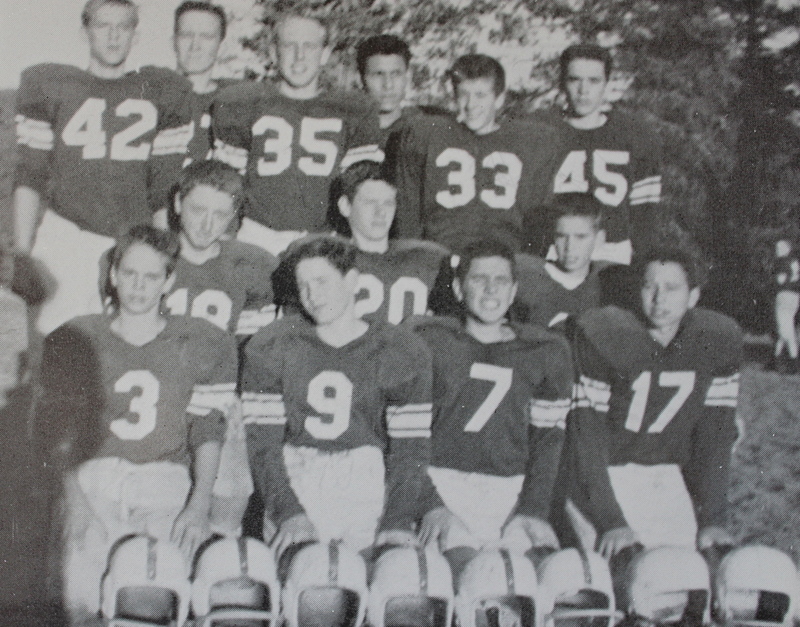 Mickey Kumle was on the JV team in 1959 and is brother Marty was a Captain on the Varsity team 59. 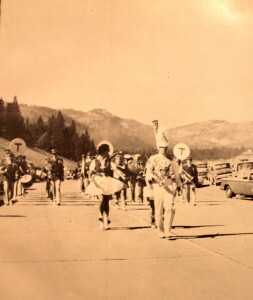 Mickey still comes to all of Truckee’s home games and in my conversations with Mickey he strongly states that Truckee was the Champion in 1959. Then why does the NIAA not have record of this Championship? This is the story of the 1959 Wolverines and the search for the lost Championship. The School after the East Wing was built, the freeway was put in just behind the school separating the school from the football field. 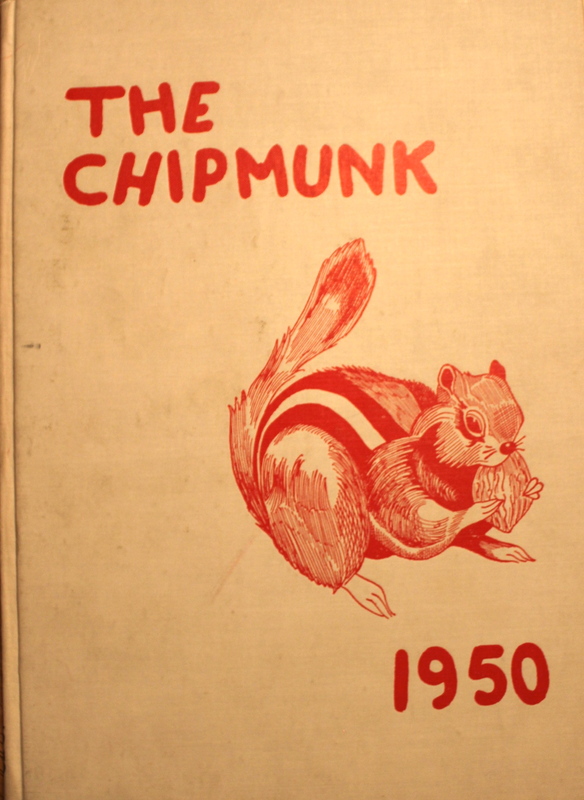 The 1959-60 yearbook moved away from the name “The Chipmunk” and took on the name “The Wolverine” for the first time. 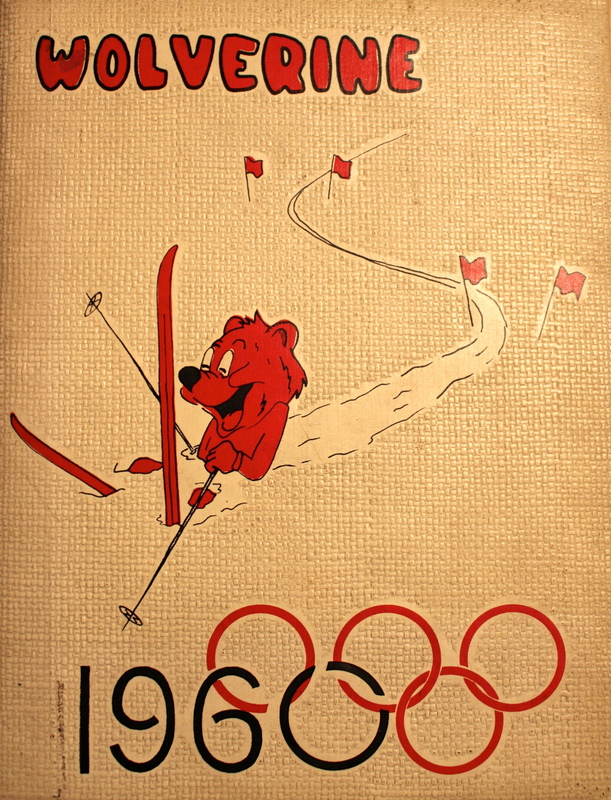 Also during the school year of 1959-60 was the VIII Winter Olympics held at Squaw Valley putting the Tahoe Truckee area on the map world wide. 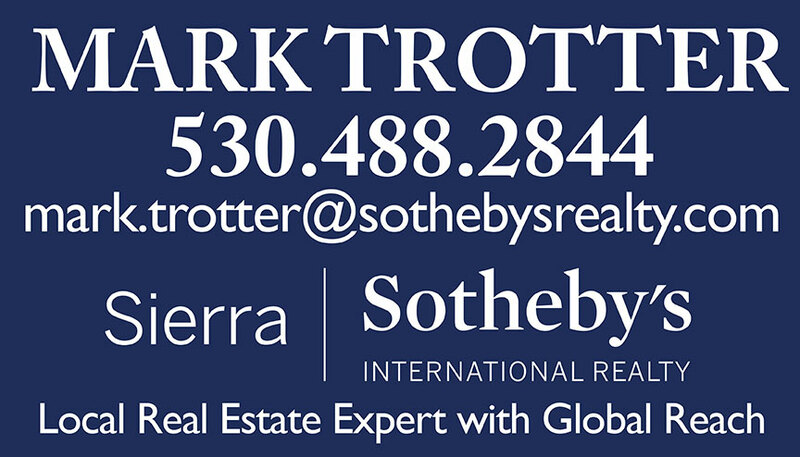 This brought many people to the area creating a mini Boom in the Truckee area. It appears that Truckee High School built on the East Wing of the school in the late 50’s. Enrollment is rising and the football team is benefiting. 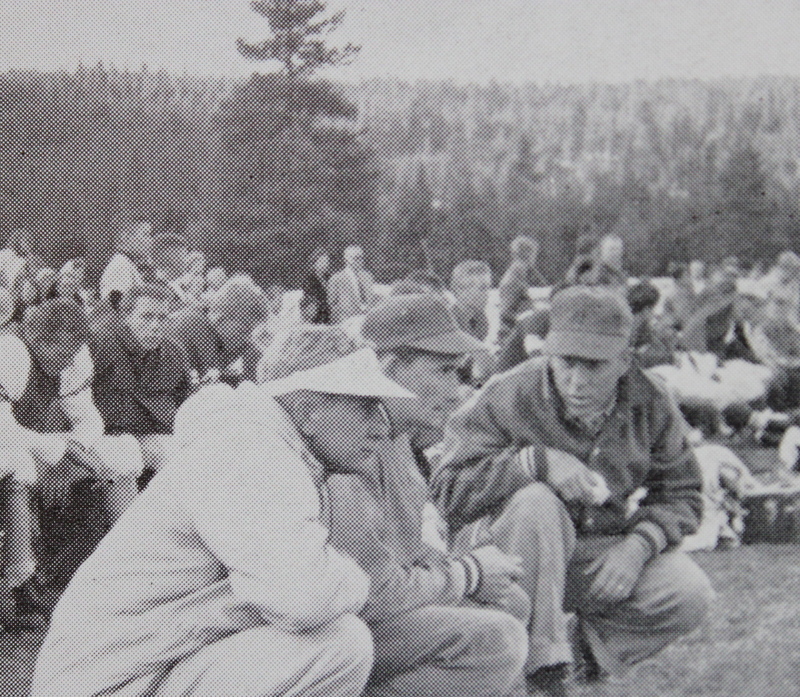 Truckee graduated 68 seniors in the year of 1959-60. The junior class had 99 students, the sophomore class was 98 students and the freshman class had 93 students. This put the school enrollment at 358 which could be enough students to make Truckee a division III school. Also, this is the last year Truckee would play on the old Deer Field Stadium as I-80 was getting ready to head down Donner Summit and through Truckee. The freeway would be built in between the high school and football field making access to the field much more difficult. 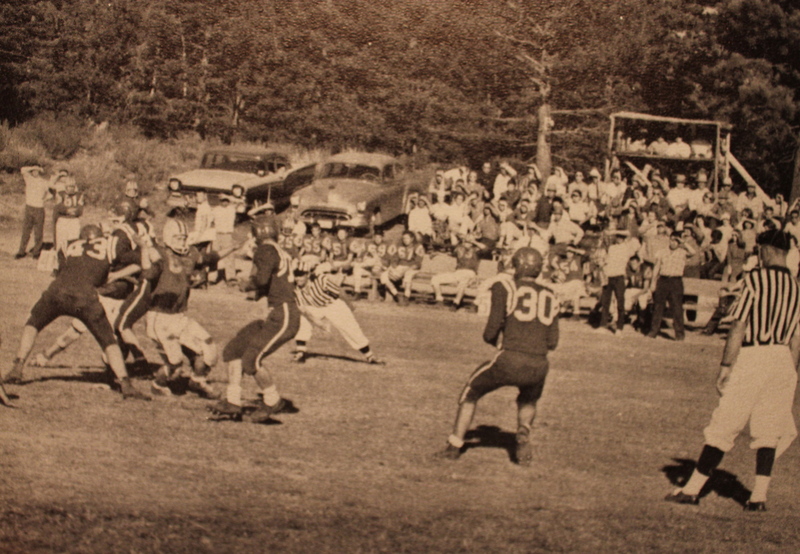 A new football field was in the near future for the Wolverines. 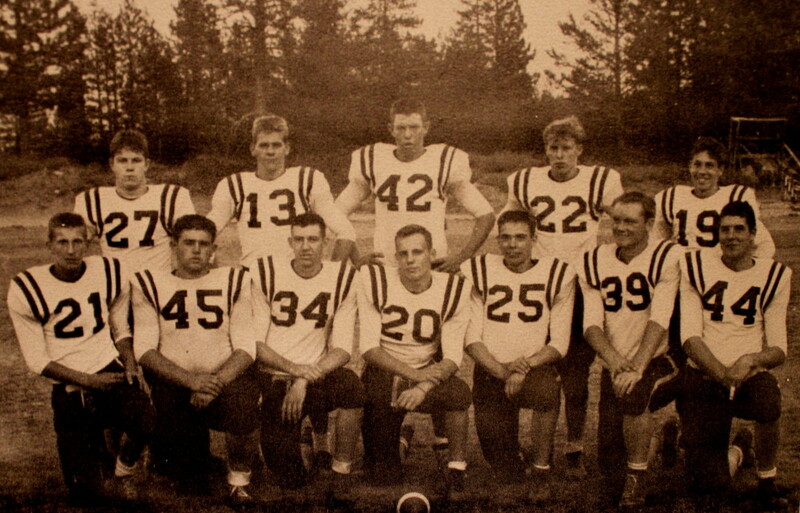 Truckee’s D was nicknamed the “Red Raiders” Number 20 is Doug Baxter who was the first football player inducted into the Hall of Fame at the Evening of Excellence award night. The 1959 Wolverines were a very good team. They shutout Manogue who were the defending State Champions. The win over Winnemucca was the biggest win in Truckee’s early history and should have been good enough to crown the Wolverines with their first State Championship. 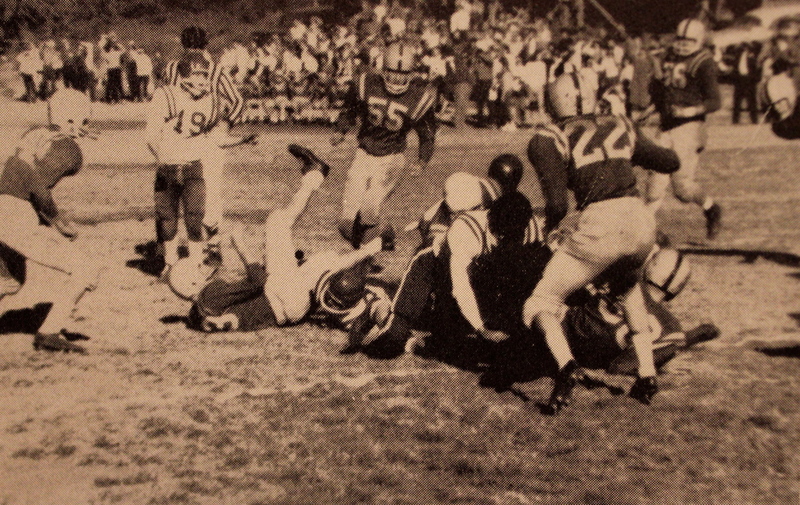 High School football did not have playoffs in the 50’s. So, who ever had the best record at the end of the year appeared to be crowned the State Champion in the state of Nevada. 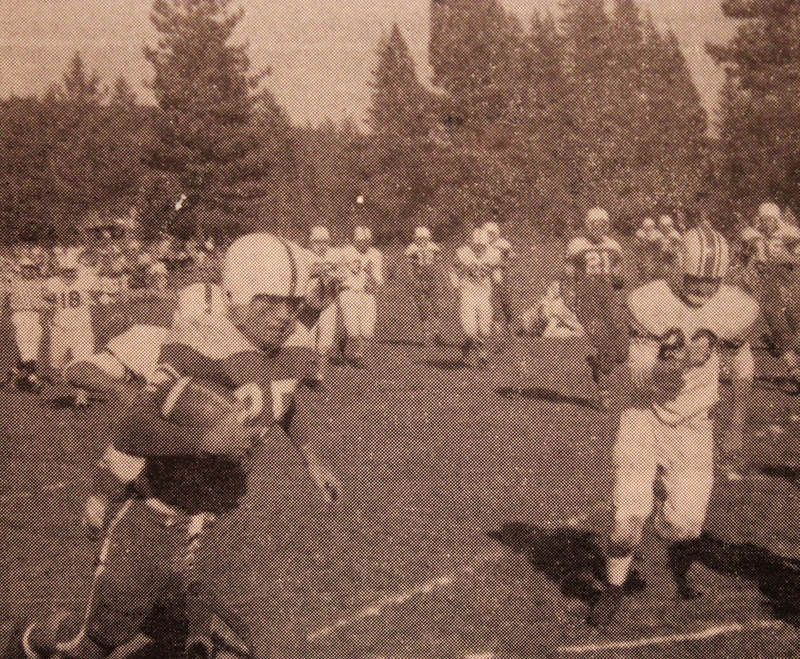 It sounds like Winnemucca’s only loss came to Truckee in 59. So, their record was likely 8-1 and Truckee’s was 7-2. But they don’t count non-league games today and I am assuming they didn’t back in the 50’s either. If they did take into account a teams non-league record then Truckee would not have been considered a Co-Champion. Besides losing a league game to Douglas Truckee’s only other loss came to another California school, Bishop, and I am guessing they would not count that game. That means that Winnemucca and Truckee shared the same record which was 4-1. However, Truckee had the head to head win over Winnemucca. So why does the NIAA have Winnemmuca as the State Champion for 59? It could be that during the current NIAA record book’s research that they have limited evidence to prove Truckee is the real State Champion or maybe they have not even looked. Maybe they decided the Champion first by league record and then by overall record. But how does the NIAA crown Winnemucca the Nevada State Champion when Lowry clearly did not even win their division? The yearbook says Co-Champion, so, it could be that Douglas is involved too. Maybe Douglas was also 4-1 only losing to Winnemucca. Then there would be 3 way tie and many other factors would come into play including overall record. But, if I can prove Douglas lost one other league game in 59 then Truckee is the actual State Champions of the Nevada A. If this is the case why would the NIAA not include Truckee in the recognition of such a Title? Could it be because we are a California school? Did Nevada snub Truckee of their Title because they were not a Nevada school? If so then one of Lowry’s 2 State Title is actually Truckee’s. 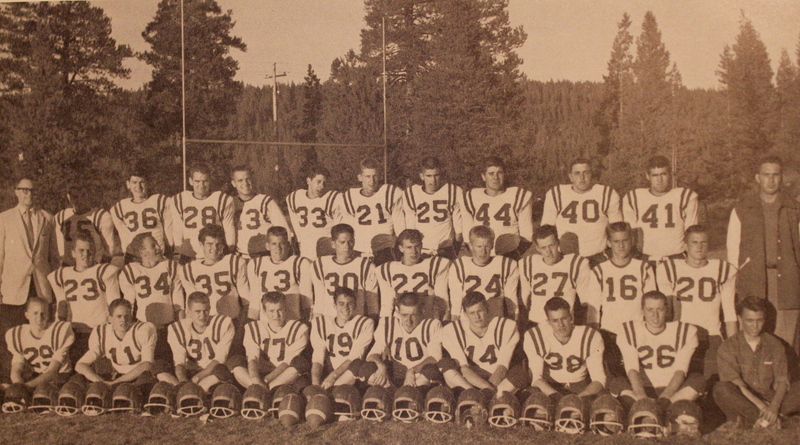 It could be that the 1959 team was indeed Truckee’s first State Championship team. A football program is born. Truckee got their own field and started a tradition that is still rolling today. Truckee saw 3 coaches in its first decade and totaled 25 wins, 38 losses and 1 tie and ended the decade pretty strong. Truckee had their first winning season in 58 and followed it up with a League Title and possibly The yearbooks through the 50’s were extremely detailed and allowed for me to analyze each season pretty accurately. The yearbooks in the 1960’s had nothing close to the same kind of information. I was one of the lucky kids who graduated from Kings Beach Grammar School and rode the big yellow school bus to Truckee for the 1950 fall. We all thought we had arrived in the big league to attend that brick school house on the hill. 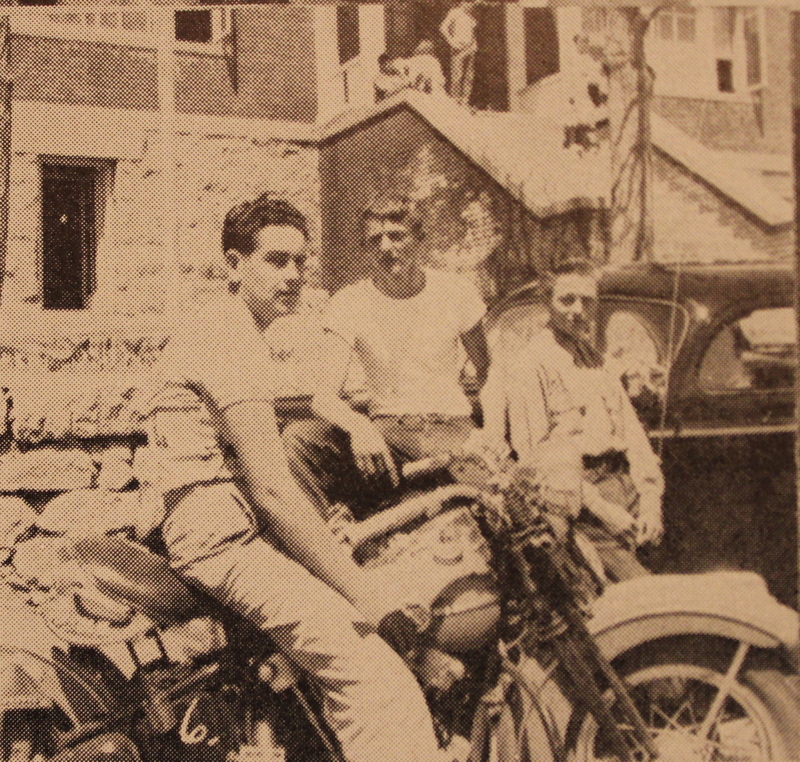 We walked into town to hang out at Bud’s Fountain and cruised the main street. Thank you Jinx for reading our site. Very cool to hear your stories of the old school house and the first girl to be elected an officer…good stuff! Good history thank you! Sadly, some of the players from the fall ’54 and ’55 teams are now gone…Bobby Sanford and Jay Mandeville were in my class of ’56. I don’t know who did the research and compiled all this information…but sincere thanks to you!!! I read every word, and as well as I can remember it’s very accurate. Much respect to you. Thanks for reading the 50’s. 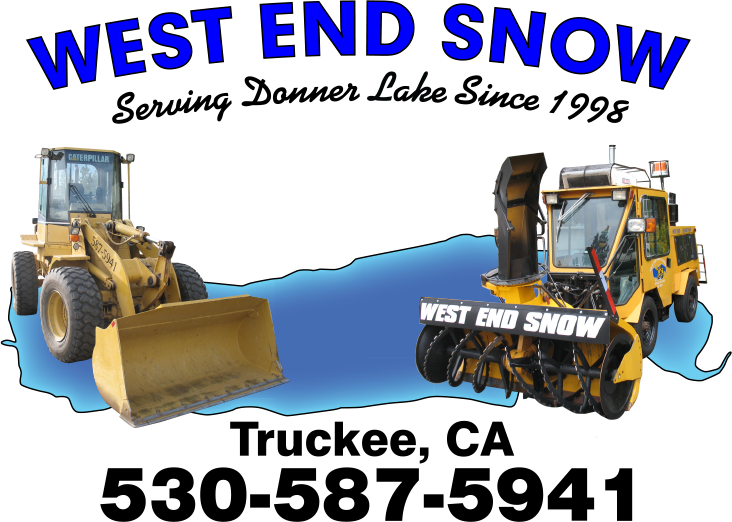 If you have any memories you think should be represented that I have missed feel free to e-mail us and we’ll make sure it is included. It might be interesting to get your take on coach Brehler or anything you would like to add to your years. So good to read all the history and comments. I was on the first 2 teams and felt that the team was a great part of my High School memory. So many of our team mates are gone, It would be great to get togeather. I hope the site has represented you and your teammates well. It has been a pleasure tracking down our Football history. Thanks for taking the time to read it.